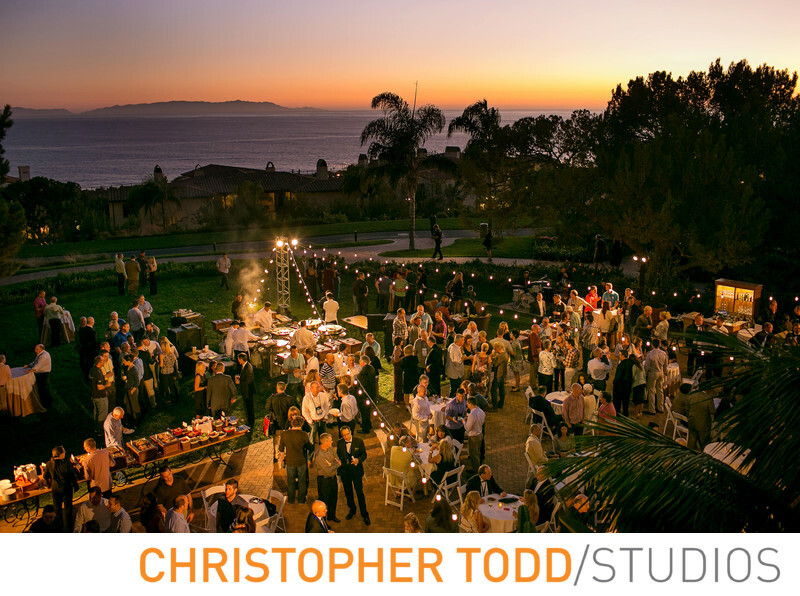 Corporate events are perfect at Terranea Resort in Rancho Palos Verdes. In this photo you can see the cocktail hour in full swing on the Catalina View Terrace. A private space that has amazing views of Catalina Island and the ocean. The sunset was spectacular that evening. I took this photo at the end of an terrific sunset from above the terrace. You can see how how great this space is for any event. 1/30; f/2.8; ISO 640; 35.0 mm.